At Alexander Animal Hospital, we understand the importance of being able to get your veterinarian on the phone during an emergency. Dr. Alexander will be available for on-call emergency services Monday-Saturday from 6pm until midnight and Sundays from 9am until midnight by calling the office directly at 410-777-8678. If it is determined that your pet will require an examination, then services can be provided right at the same familiar hospital you and your pet are comfortable visiting. 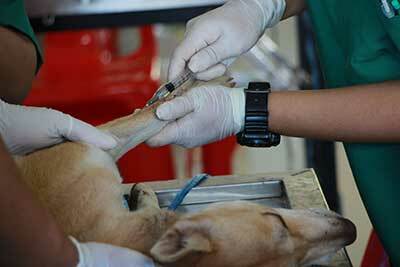 The major goals of veterinary vaccines are to improve the health and welfare of companion animals and prevent animal-to-human transmission from both domestic animals and wildlife. Keeping vaccinations up-to-date plays an important role in keeping your pet healthy and free from disease. However, not every pet requires the same series or frequency of vaccines. Here at Alexander Animal Hospital, we believe in individualized animal welfare and will discuss your animal’s risk of exposure in order to specifically tailor an appropriate vaccine schedule. A routine medical examination or a ‘check-up’ is recommended annually for all healthy pets, as it is focused on the maintenance of optimal health, as well as the detection of emerging, potentially life threatening diseases. This examination includes a head to tail inspection and can detect a variety of illnesses and prevent many diseases, which may cause discomfort for your pet and become costly to treat. Examinations are also essential in spotting problems before they become serious health issues. Your pet should always have a collar with up-to-date license and identification tags. However, when collars and tags are damaged or lost, the microchip is your pets only form of permanent identification. We recommend that your pet have regular dental checkups at least once a year. 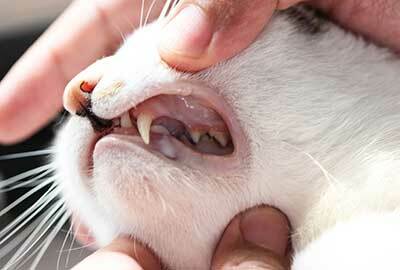 Your pet’s teeth and mouth are prone to disease and decay just like yours. If your pet has a bad tooth or infected gums, the pain can cause a lack of appetite, and infection can lead to many critical health issues such as cardiac, renal, and liver disease. Surgeries of any type: routine, elective or more emergent are all handled with the same quality, compassion and focus on patient welfare. We understand that this can be a stressful time for owners and animals and will make sure that all procedures and post-op care are explained with a clear understanding. We perform our own lab services and diagnostics, which means less waiting and quicker results to provide peace of mind. The ability to provide accurate and rapid test results during periods of pet’s illnesses also means being able to institute appropriate treatments more quickly. Interested in using our services for your pet’s veterinary needs? Call 410‐777‐8678 or contact us.